The Exigo Incline Chest Press delivers a motion which imitates natural movement to guarantee comfortable exercising during the strengthening of your pectorals and deltoids. 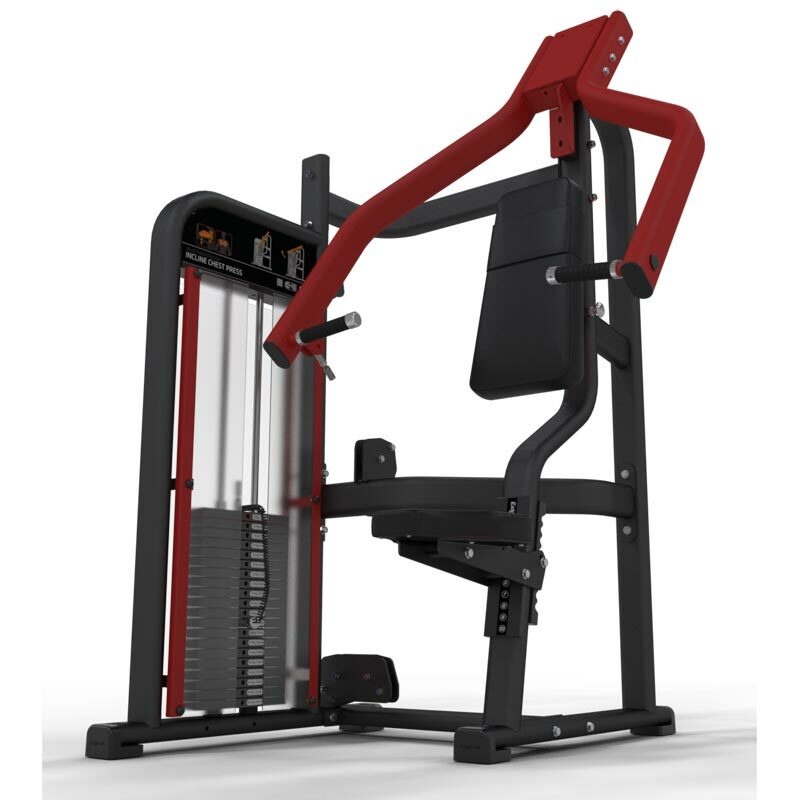 The Exigo Incline Chest Press provides a natural plane of movement that will enable effective targeting of the pectoral and deltoid muscles and aid upper torso stability. Features fully adjustable seat with comfortable back rest and 5Kg incremental adjustments to offer numerous load options for a range of users. L1420mm x W1391mm x H2117mm. Weight: 250kg (Including weight stack).